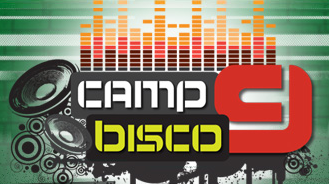 Stay tuned to Camp Bisco’s official site or Twitter feed for updates as the lineup is announced tomorrow. Ticket are on sale now for $135 at Bisco Tix. To get a taste of what Bisco has been up to in 2010, check out streams and downloads from their recent Northeast run in Feb. and Fox Theater shows in Jan. over at the Live Music Archive, or buy the Soundboards from the band. Til’ next time, Untz Untz Untz Untz…. I am actually the one who leaked this. I knew the lineup would probably be surfacing very soon via campbisco.net so I did a little “googling” around for “camp bisco 9” and somehow got to an administrator part of campbisco9.net and it showed the whole lineup. I posted it on PT, thinking it was hidden, but was supposed to be found–they are giving away 2 VIP passes to a fan who tweets/posts on FB links to the site, and they hint that the people who do this will find out vital info before everyone else, I thought I somehow found this hidden site, and that if I tweeted/facebooked the direct link to this site @campbisco on fb and twitter that I would win. Instead, after tweeting, fbing and posting on PT, the link to the lineup and the rest of the site stopped working, the threads on PT got deleted, and my tweets and stuff got deleted and ignored. And here I was thinking I had won and found something first. I did find it first but it wasn’t supposed to be found. I still have the screenshot of the artist lineup page. But I didn’t mean to ruin the Biscuits’ surprise! I am going to keep it to myself from here on out.